We would like to THANK this year’s conference sponsors. Due to losing our state funding last year we are especially thankful for their support! 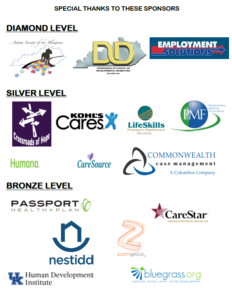 Without these groups, we wouldn’t be able to provide this great training for Kentuckians with disabilities, their families and networks.